Join I.T. with IQ’s Ethan Feerst and Dylan Stewart in celebrating the launch of the Fresh Paint website at the Grand Opening Reception entitled “Pours With Purpose,” featuring the art of Melanie Rothschild on Saturday, September 8. You know I.T. with IQ as tech consultants Ethan Feerst (I.T. Therapist, Microsoft specialist and blowtorch wielder) and Dylan Stewart (fedora-loving Mac Whisperer and renowned consultant for all things Apple). We have now added web development to our repertoire as WEB with IQ, and are proud to unveil our work with the Fresh Paint website. We’re moving beyond sheer IT tech acumen and into the realm of superlative web development. How did it happen, you may ask? 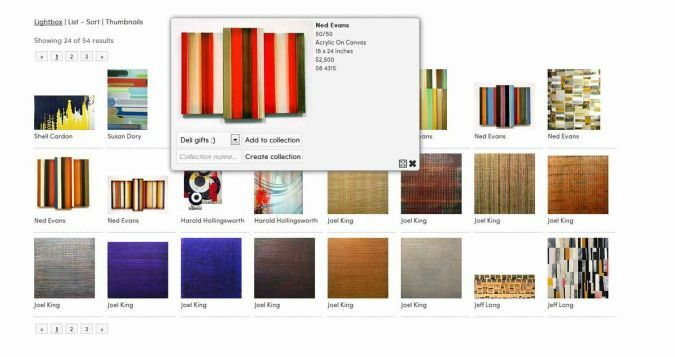 Fresh Paint Art Advisors needed a powerful online solution for sharing custom galleries with their clients. They had an immediate need for a fluid and flexible solution that was easy to update via a Content Management Solution (CMS). We created their website with Concrete 5. Want to know more? Join us on Saturday for a hands-on VirtuaGallery™ demo with Ethan Feerst and Dylan Stewart powered by WEB with IQ.